Andy started at Apple in August 1979 as Apple employee #435. He was one of the main authors of the Macintosh system software working on the core operating system and the User Interface toolbox, as well as most of the original desk accessories. 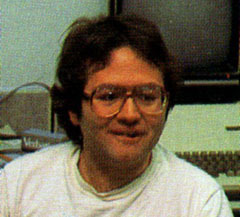 He later went on to co-found three companies: Radius (1986), General Magic (1990) and Eazel (1999). He is also the main author of the Folklore website you're currently reading.